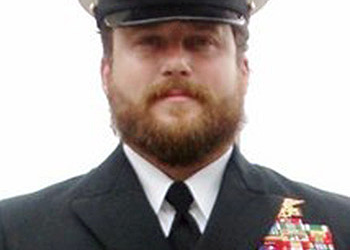 Navy Senior Chief Special Warfare Operator John W. Marcum, 34, of Flushing, Michigan, was assigned to the Naval Special Warfare Development Group, Dam Neck, Virginia. Senior Chief Marcum's final assignment was with Naval Special Warfare Development Group from March 2000 until he was killed in action in Afghanistan on September 11, 2008. During this time, he deployed multiple times in support of Operation Enduring Freedom and Operation Iraqi Freedom. On September 12, 2008, SCPO Marcum and another SEAL were killed while conducting combat operations in Bagram, Afghanistan. SCPO Marcum’s daughter is the recipient of the Folds of Honor Scholarship.